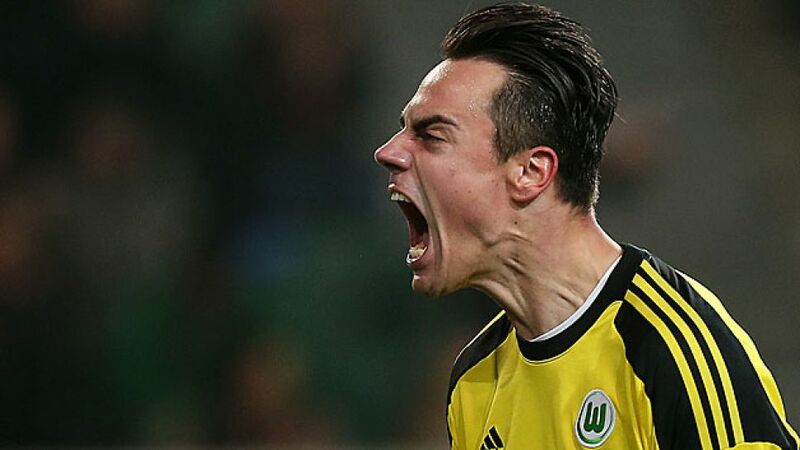 Wolfsburg - VfL Wolfsburg kept up their push for a place in Europe next season with a 3-1 win at home to VfB Stuttgart in the Saturday evening match on Matchday 16. It was a keenly-fought contest with both sides creating plenty of chances, but the Wolves were more incisive with theirs to take all three points. bundesliga.com summarises the thoughts of some of the key players involved. I was hoping things would turn out so well for us this season, but of course you never know beforehand. The team's really gelled and we're working very well together with the coaching staff. We were lucky with Timo Werner's shot [that Knoche cleared off the line] in the first half. As long as the ball's not in, you always try to save what can still be saved. After going 2-1 up, we had Diego Benaglio to thank for keeping us in front. I'm delighted we now have the three points. Unfortunately we've lost again here in Wolfsburg, We played a decent game and in certain situations, we just didn't have luck on our side. I'm absolutely convinced that, had we equalised, we would've turned the game in our favour. It's a real shame that we weren't rewarded for our efforts. We had plenty of clear-cut goalscoring opportunities. It's a shame Timo's shot didn't go in. I was annoyed that we didn't equalise because our performance had deserved it.